These are Liz’s parents, Betty and James Renee. James also happens to be my immediate supervisor. These are Diane’s parents Barbara and George Thorne. This is David Thorn and my boss. I thought you were the only child, Diane? She is, I’m her brother from other parents. Oh. You know Liz and the love of my life. Now I like that introduction better Deric said. Hahaha, I made my point clear! Yes, you did dear, just saying though. I need that drink we never got. When did you start drinking, asked mom? Only when I had a day of emotional roller coaster ride, and this day would surely be categorized as such since early dawn today. Well, I bought the champagne to toast the happy reunion, where are the glasses. Will cup do? We weren’t informed this was a celebration. Mr. Steele, sorry to disturb you, but we need to move one of the cars, for our guest, and I radio back for them to bring you some glasses. Thanks and which car? The minivan sir. Oh said Deric. That would be mine, I’ll move it now…If you would like we can move it and return the keys to you. Ok here. Steele, you manage this place? No, I own it. Really, how that asked Sharon, your father ain’t kicked the bucket yet. How much has Diane and Liz shared with about what I do? Just that you are her co-director at Beautiful. But she did say I needed to come see for myself about the things that you do. Yes she right, about Beautiful. But I have a group of investor friends that has allowed me to set up Admiral Home & Retreat, Erica’s orphanage, and Tim’s center. Erica’s orphanage, after mom? Yes, there are many moms that have to do what she did for legitimate reasons and others for the same selfishness ones that mom was forced to give up Tim. But what’s Tim’s home? That place is for kids that require more care than the family has resources to give but want to retain custody and family connectivity with their child. But Sharon, the home, and orphanage is two different sides of the same building. And once the kids enter from either side they can’t tell one side from another. You really must come back soon during the day for a full tour of everything, Betty said. I will and soon. I’d like that Sharon said. How long are you in town for? Diane said her vacation is almost over, what about yours. I am here every weekend working. Don’t have the time to take a vacation right now. I am sure something can be worked out if you wanted to take a couple of days said, David. Well, I do need to take some time to handle something coming up in a couple of weeks, maybe we can schedule to get together then Sharon and I’ll take a rain check till then on your offer David. We’ll talk later. Ok kids, it is time for these old bone to head home said George, I agree said James our ladies have had a full day. We must head back to town ourselves, I still have to close up my shop tonight, said Sharon. Here goes the night owl, why don’t you just get a bed set up in that place, don’t know when was the last time you even watered your plants, said Deric. I don’t have any plant Sharon said. That’s because they all died already, said Deric. Everyone laughed! I need to come by and pick up my package in a day or two, so I see you then Deric, and Sharon we have to settle our lunch date another time. Diane, after the wonderful gift you gave me today, I’m forever in your debt, thank you. Actually, Steele said we are forever in your debt as he hugs and kisses me on my forehead. You know, I know I how you can start collecting on yours sir starting tonight, I whispered in Steele’s ear. As long as I wake up married to you, no problem. No fair as I swatted him and started walking with my parents to their car. So big brother, I see am finally going to get my sister after all. Is there something you need to tell me? Is there only one new member of the family? Sharon laughed, Deric there is my best friend and old robe in one, but your personality more his type in relationships. I am too much of a softy for him. Oh, I see, well to answer your question I am working on it, but I have eight years to righting first. You might not have that long Dave said walking up to them. I know her better than my own family, when she’s tired of being afraid of the past she’ll see clearly. Sharon, I really can’t believe that you are here. I looked so long for you and came up empty handed every time. Shh, I am here now and I promise I am not going any place. I missed you, Charlie. I love you Sharon and Lord know how much I missed you too. Here’s my card with all my numbers. Call me for anything and anytime and don’t ever let me see that look in your eyes again as if I am an extension of that man! I will always love you. Before mom died we had a long talk, Charlie I never blamed you I just couldn’t take the arguing any longer. Let’s promise two things to each other. First we will leave the past behind us, yes there may be some things we need to discuss, but for the most part, let’s let the pain die in the past and second we will always be honest and there for each other. I love you, Charlie. Hey, can I have a glass of wine? No Deric, you’re driving. Then I hate to break up the reunion, but I am ready to find a pillow. I’ll be back soon, I promise. OK, drive safe. After everyone left for the night, all were accounted for but one. Even David and Liz were civil and quietly talking. Most of the retreat guest also retired to their rooms, but Steele was M.I.A. Hey have you seen Steele? Not since his sister left, David and Liz said in unison. OK, I’m going to check his office if you happen to see him…. We are going to head back to the suite, see you there. The office was empty as well, where could he be. Ms. Thorne, can I help you with something, asked the night manager. I’m just looking for Steele. Oh, he was outside cleaning not so long ago. OK, thanks. He has a full staff and stills stay hand on in every area. As I walked back to the picnic area, at first I thought I missed him again. Then when I saw him down by the water. As I started in his direction, then I realize that maybe he wanted to be alone so I started to turn and leave. Diane where are you going? I realize that you may want time alone, so I decided not to disturb you. You never disturb me but in my dreams. Well, that’s your own doing, can’t hold me responsible. Partially, but you are the only one who can remedy it. How so? By waking each morning in my arms and going to sleep each night under me. Like I said, you can’t hold me responsible for that. I have two questions for you Lady Diane and I seek only honest straightforward answers. First, have anyone ever tasted the delectable fruit that is before me? Are you asking me if my desire for you matched my experience, no! But then you knew that. That would be an unfair assumption for me to make towards you, it has been eight years, though I love the fact that I will be your first and only, I wouldn’t hold it against you. I told you before, you have no idea the effects eight years had on me. You were the first man that I ever really kissed me not alone let touch me. You were the first who ranked anywhere near my love for my father. Then you shattered everything I believed to be true. Yes, I have dated over the past eight years, but I found myself not only comparing their treatment towards me to how my father and Renee treats my mom and aunt. But I compared their touch, their kiss, the overall feeling they evoked in me to that of how we were. Sadly, to say for them, they failed a test they had no chance of passing. It not funny! I’m not laughing at the effect I had on you, but on how every woman that came into my life failed the same unknown test. But I won’t say I was completely celibate before the last 3 years when this project became my 24-hour lover. Before then, I promised two things: I always used protection and I have no children. Nor is there a jilted lover that you would ever be faced with. So why are you imposing such limitations now? The second question is your body operating separate from your heart or is their feelings you have yet shared with me. That’s not a fair question. Why not? Because, it just not, I say as I turn and walk closer to the shoreline. He follows for a bit before he says anything. This is the reason for the limitations. I know the feelings I have for you and I know that I want to spend every day for the rest of my life with you. But unless I can have your heart and body completely, I will not take part of you. Then he sealed his words with a kiss. A long slow, desperate kiss that left no questions regarding his feelings or desire, then he steps away and started walking back to the suites. I hope you enjoyed. 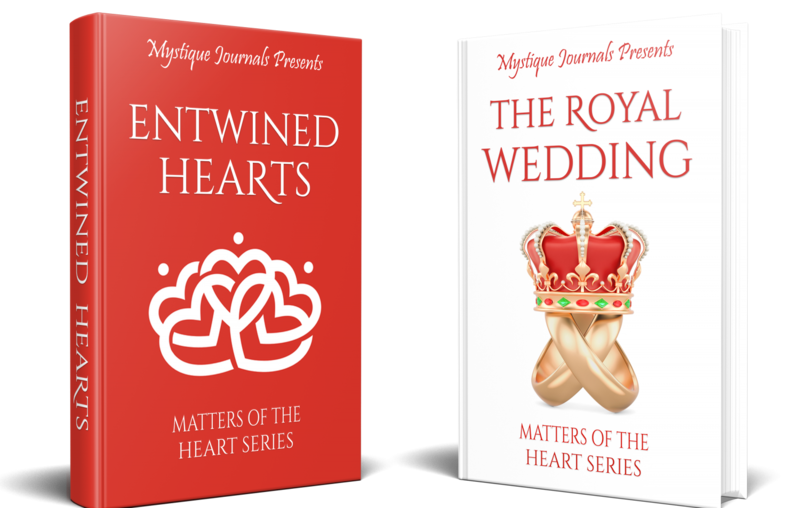 Please leave me your comments and don’t forget to sign up to receive the Final installment of Diane’s Heart.